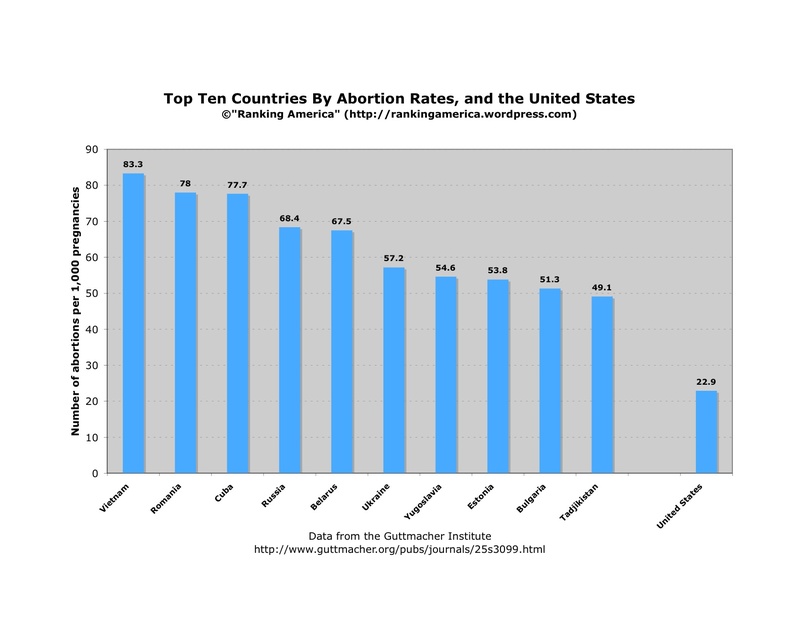 It would be much more interesting to see which countries have lower abortion rates! If you follow the link, you can find the information you are looking for. Thank you! It’s just that I would have liked to pluck the graph straight from your site to use in a lesson. Now I will have to make my own graph, which is more work and less fun ;). Thanks for the fabulous resources, anyway. Your site is a godsend to teachers.